ESO is proud to announce its new collaboration with the Centre for Astrophysics of the University of Porto (CAUP) to support AstroCamp 2017, an astronomy-focused summer academic program for secondary school students. The Summer AstroCamp 2017 will be held from 6 to 20 August in northern Portugal, at the Centre for Environmental Education and Interpretation of the Corno de Bico Protected Landscape. On 25 February, the organisers will host a webcast to provide further information to prospective applicants and their families. The camp aims to stimulate students’ curiosity and critical thinking skills, particularly in the area of astrophysics, and to bring together students from different backgrounds and life experiences. Students will take two courses, which will have daily lessons, some assignments, and a final exam. Astronomical observation sessions, both with the naked eye and telescopes — including a session coinciding with the peak of the Perseids meteor shower. Skype conversations with astronomers and physicists in different countries. A computational project, allowing students to work with data from the world’s best telescopes. Social activities such as hiking, sports, community service activities, and film and documentary sessions. The webcast held on 25 February will include a presentation by a former student who will describe her experience of the 2016 edition, plus information about the camp activities and the application and selection process. More information can be found on the Astronomy Day webpage. The deadline to sign up for this webcast is 23 February. AstroCamp is open to students from any European Union country who are currently in one of their final three years of pre-university education (i.e. in principle those born in 1999, 2000 or 2001). The working language in the camp is English. The number of participants is limited, so students will be selected based on academic merit and potential. Prospective students should visit the AstroCamp website for details of the application process, which includes a motivation letter, a letter of recommendation, and the candidate’s latest academic results. Applications will be open from 1 to 30 April 2017 for this year’s AstroCamp. Shortlisted candidates will then be invited to a Skype interview, which will be held during the weekend of 27–28 May. 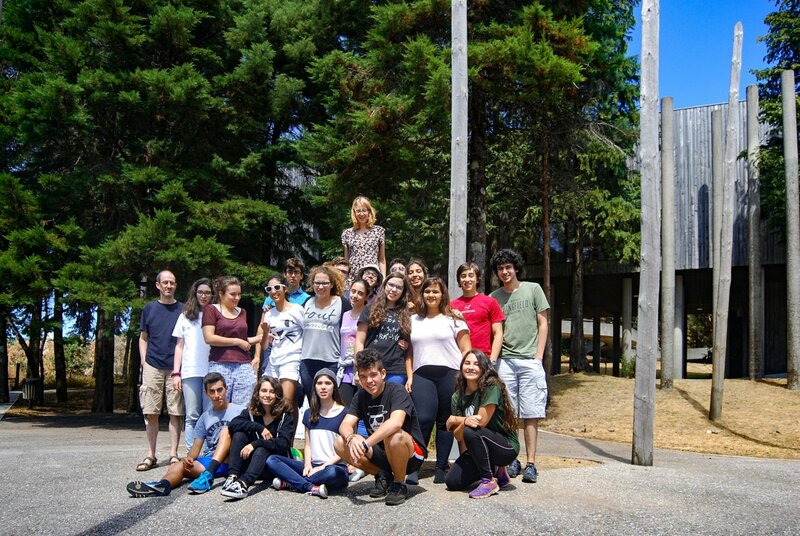 Portuguese students selected to participate in the camp will not incur any costs. For students from other countries, a registration fee of approximately €400 will cover all the student’s expenses within Portugal (full-board accommodation, supervision by professional staff, all camp activities and materials, transport from/to Porto airport, and insurance). The fee does not include travel costs between the student’s home and Porto airport. The applicant with the best application from one of ESO’s Member States who is eligible to apply will win a bursary offered by ESO that will cover the camp fee. The selection of camp participants will take place shortly after the camp interviews, and it is expected that the ESO bursary winner will be announced around 5 June. Participants will need to confirm that they will attend the camp and complete the required paperwork by 14 June. The full regulations of this edition can be found on the camp website.